A quick rundown of color codes and which food groups they pertain to. 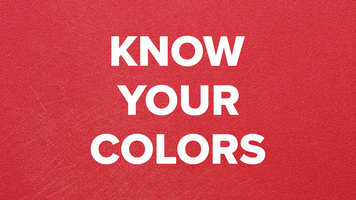 Knowing your colors can help prevent contamination. San Jamar is proud to introduce the Cut-N-Carry cutting boards: the evolution of colored cutting boards. San Jamar’s patented food safety hook makes these the first and only cutting boards that prevent 3 types of cross-contamination. Colored cutting boards are excellent tools, but they’re only effective if they are kept clean of hazardous bacteria. We know that the #1 type of cross contamination is from people; contact with dirty hands, or dirty clothing. Picture a prep person just having finished cutting raw beef, and now it’s time to slice vegetables. Think about how easily cross-contamination can occur here with traditional cutting boards. With the Cut-N-Carry food safety hook, boards are efficiently carried away from dangerous body or clothing contamination. The second type of contamination that can occur with traditional cutting boards is unsafe stacking and storage. Think of the dangerous bacteria that grow on wet cutting boards that are stacked on top of each other after washing. Cut-N-Carry boards can be hung on any wire shelving for sanitary, dry storage. San Jamar has also developed the Cut-N-Carry hanging rack for even better organization of Cut-N-Carry cutting boards and Board-Mates. 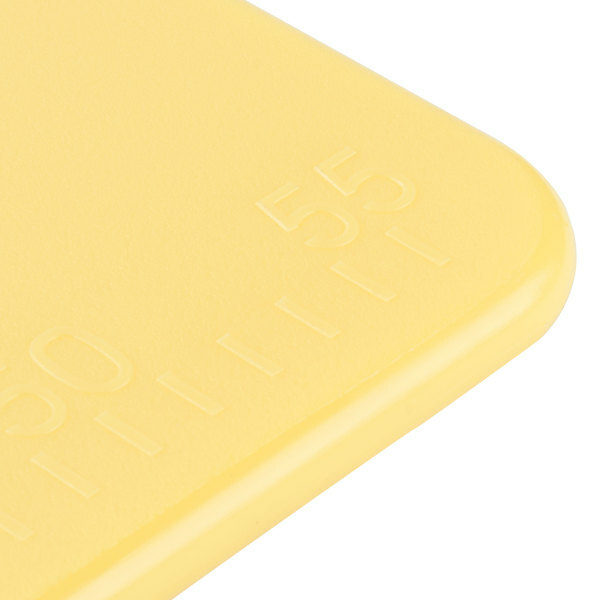 Cut-N-Carry cutting boards feature the original Kolor-Cut system. The universal HACCP standard for keeping different types of food segregated, and customers safe. Cut-N-Carry boards feature co-polymer construction. This unique formula provides unmatched cut durability and heat resistance in commercial dishwashers. They also feature the NSF logo. This shows your customers and health inspectors that food safety is the top priority. Cut-N-Carry boards help operators prevent food-borne illness in ways that no traditional cutting boards can. Keep your operation smart, safe, and sanitary with Cut-N-Carry cutting boards by San Jamar. Use the San Jamar Cut-N-Carry Cutting Board to prevent 3 types of cross-contamination: from people to food, from unsanitary storage, and from not having separate preparation areas for different food types! Presenting another innovation from San Jamar. You may not think about it, but the simple act of carrying a cutting board can pose a cross contamination risk. Cut-N-Carry cutting boards from San Jamar are designed for safe and sanitary transport and storage. 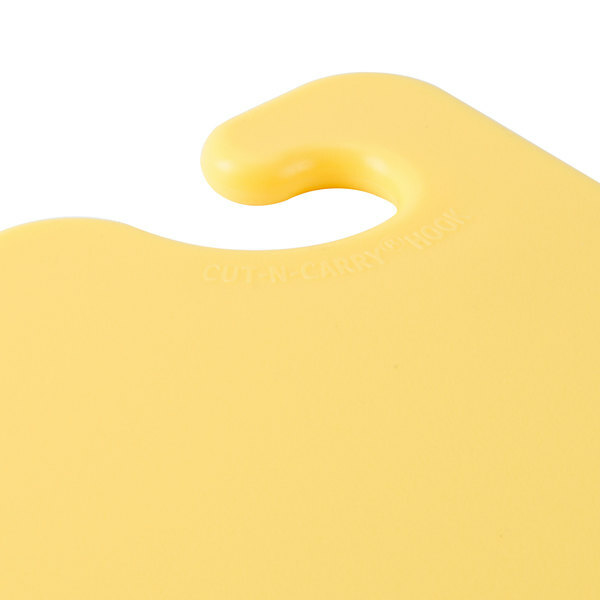 Cut-N-Carry boards feature the patented food safety hook. The hook design provides a carrying point that minimizes hand contact with the board while providing an ideal method for drying and storage. Cut-N-Carry boards are constructed of a durable copolymer blend that resists cut grooving, yet is gentle on knives. An integrated ruler makes portioning easy. 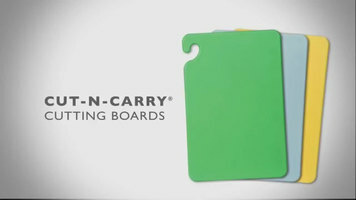 Cut-N-Carry boards are available in a variety of colors. San Jamar’s color coding system helps prevent cross contamination by allowing operators to designate colors for specific uses. Use green for produce, red for raw meat, yellow for poultry, blue for seafood, white for dairy, and brown for cooked meat. Cut-N-Carry boards are an essential part of a HACCP plan. Use with San Jamar’s Saf-T-Grip Board Mate for a stable and sanitary cutting surface, replacing the commonly used wet towel method. Heat and chemical resistant, Cut-N-Carry boards stand up to the daily demands of commercial kitchens, and are NSF Certified and dishwasher safe. 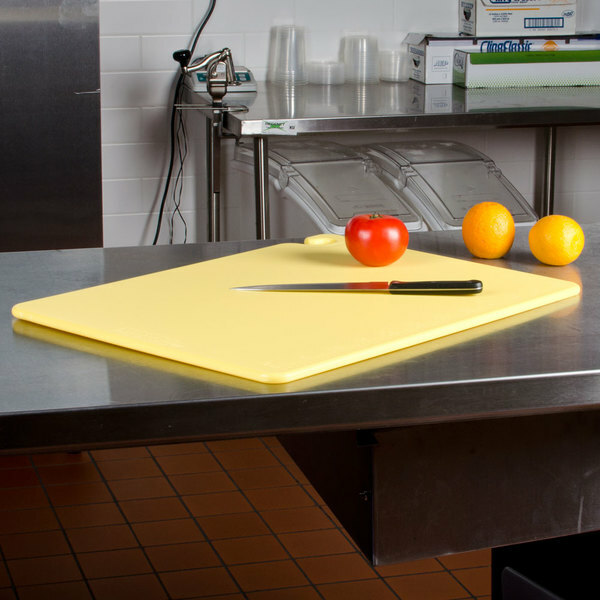 For smart, safe, and sanitary cutting boards, choose Cut-N-Carry. Available in sizes for every application. For more information on Cut-N-Carry and other smart food safety products, visit sanjamar.com. Keep cross contamination to a minimum and ensure food safety and sanitation with the Cut-N-Carry line from San Jamar! 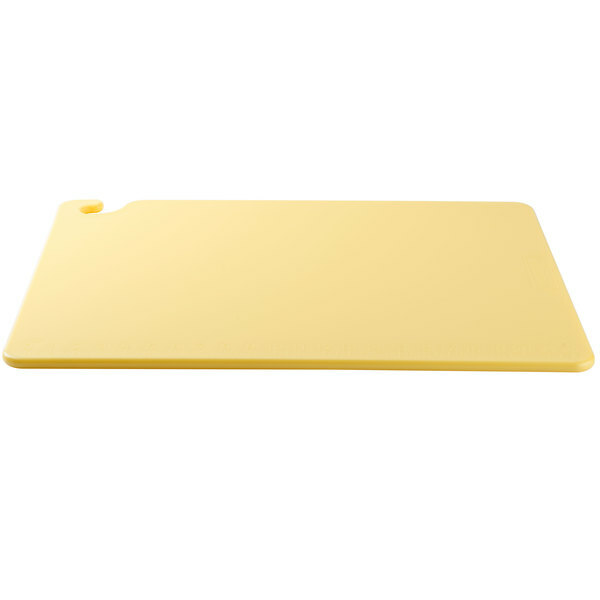 Protect your countertops and knives with this San Jamar CB182412YE yellow Cut-N-Carry ® cutting board. Thanks to the patented Food Safety Hook, you can easily carry this board around the kitchen without fear of contamination from hands or clothing, and at the end of the night, you can hang it in a designated area for safe drying and storage. 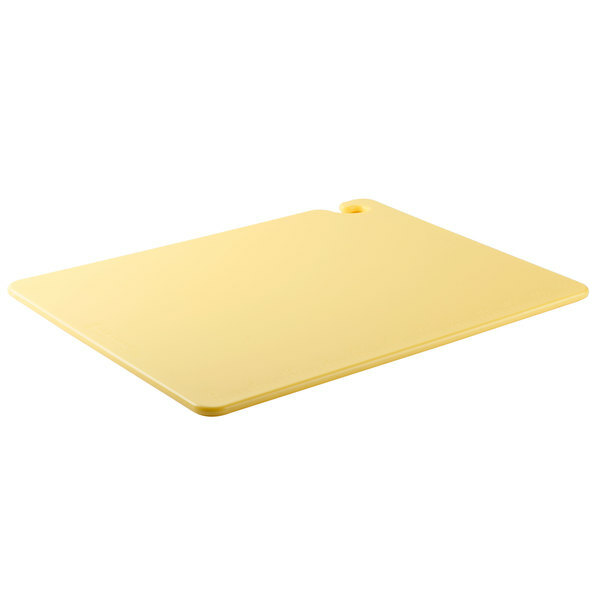 In addition, this yellow board, which should be used specifically for poultry, will help your chefs to comply with your HACCP plan. Constructed of a durable co-polymer material, this board provides superior heat, chemical and warp resistance in commercial dishwashers. It's made to help limit unwanted knife dulling, but tough enough to prevent unsafe cut-grooving where dirt and bacteria can hide. 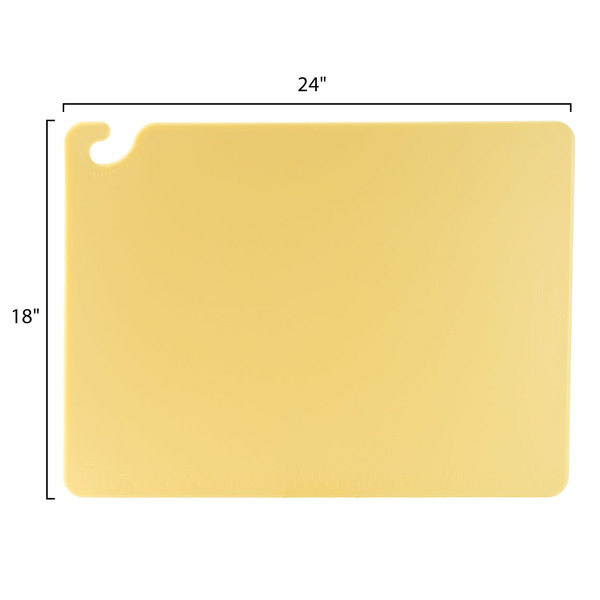 For additional convenience, this board features an embossed ruler with both inch and centimeter graduations to aid in measuring and portioning. 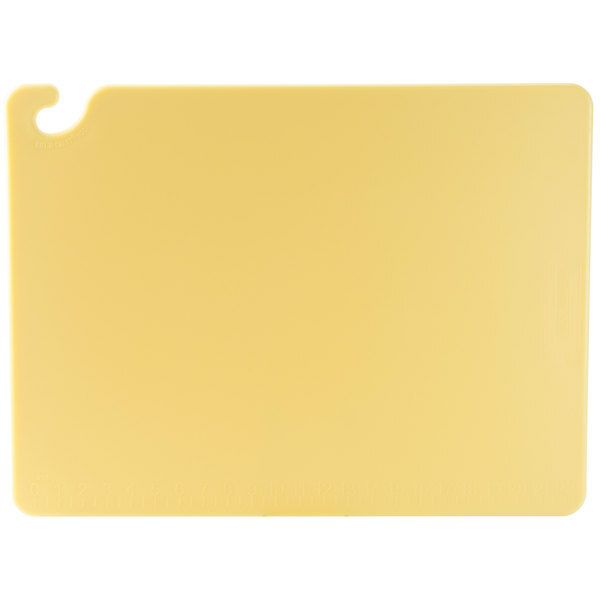 This cutting board is a great way to prevent cross contamination. It also holds up well to multiple washings in a dishwasher and has yet to warp. The hook allows you to pick it up without touching the useable surface. I also suggest that you buy the Cutting Board Rack For 6 to use with these boards. Great cutting boards to have. Very durable, I can cut anything on it. Also it has the hook so its easy to store. Good deal. These are a great item!! I have 3 of them in my kitchen and leave them out and they look so cute! They have lasted very well and i've actally bought quite a few as gifts!! The servers like using these to do bar prep or cut lemons for water etc.. They're nice to just hang on the wall close to where they will be used. This is a very nice cutting board. I like to use the hook to hang the board for easy storage. This is a good price for it as well. These are very nice cutting boards. They hold up to use as well as any solid plastic cutting board. I particularly like the hook in the corner. 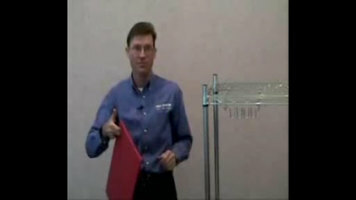 When paired with the hanging rack for use on metroshelving, the boards conveniently hang without touching each other. Since I was always worried about wet boards being put away right next to each other - the perfect context for mold/mildew - these are a simple and effective innovation that eases my mind.